I love wreathes at Christmas. I have mixed feelings about whether or not I like them in other seasons. 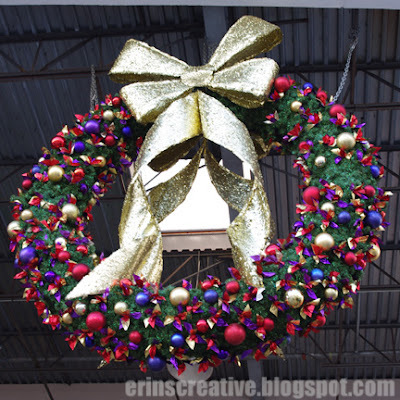 So, when I saw this 10-12 foot Christmas wreath hanging above the entrance to a grocery store, I was smitten. I would love one in a size that would fit my door. I might have to work on that for next year.